Privacy is important to most homeowners. Whether you’re in your backyard or bedroom, you don’t want to feel as though anyone is watching. However, by the same token, you don’t want to erect an unsightly wall or fence. The best privacy features are always subtle ones. So what options are you left with? Well, as far as we’re concerned, there are plenty! Landscaping is the best way to achieve backyard privacy. With nothing more than a professionally installed fence and a green thumb, you can get well on your way to backyard privacy with these ideas. The best tips to start with are always the cheapest ones. And what’s cheaper than a trellis? Trellises are lightweight, easy to transport, easy to install, and great for privacy. The first three advantages are pretty obvious. But you could be forgiven for questioning the privacy offered by a trellis. After all, they’re full of holes! So how exactly can a trellis offer you privacy? Easy – with a vine. Whether it’s a passionfruit vine or a pothos, a vine will grow on a trellis like nobody’s business. The two go so well together, that we reckon a year is all it would take to have your very own pothos or passionfruit privacy wall. What if you don’t have a year to wait for your vine to grow? In that case, few things work better than a privacy screen. These are particularly popular in urban settings, where small courtyards, and even balconies, often have a bit of an audience. 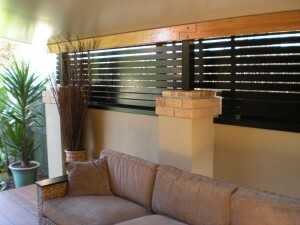 Privacy screens are great due to their mobility. You can move them from one part of the backyard, courtyard, or balcony, to another. That means no matter where you are, you get privacy. You also don’t have to dedicate too much time and money to landscaping! Looking for privacy & noise reduction? 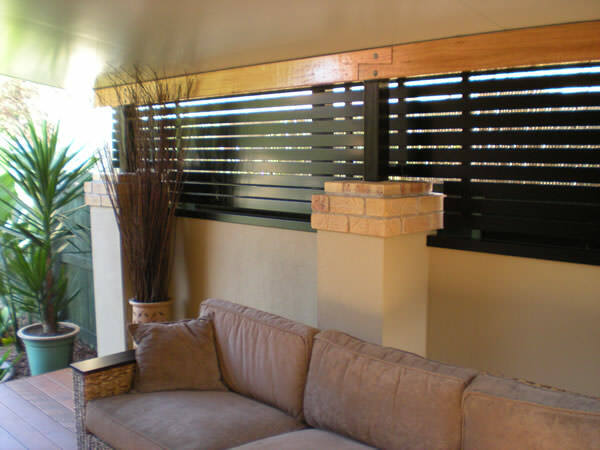 Go for a noise-reducing fence! Often, privacy and noise reduction are connected. If you live in an especially busy part of town, noise reduction might be high on your list of priorities. And while there’s no silver bullet in that regard, there are a few landscaping ideas that can help. They key to noise reduction is placing as much insulation between you and the noise as possible. If the noise comes from a main road, get a high timber fence put up between you and the road. You’ll be amazed at the difference it’ll make. In addition to that, get a hedge growing there too. The more insulation you can place between you and the noise, the more it’ll be reduced. Speaking of hedges, why not add them to the list of backyard privacy landscaping ideas. Hedges have long been big for privacy advocates, and it’s not hard to see why. They’re stunning, inoffensive, and practically impenetrable. Growing a hedge does require some effort, though. You’ll need a good fence on one side, to keep the growth nice and even. On the other sides, you’ll need monthly dedication and a reliable hedge trimmer. The result, though, will be well worth it. If your yard can’t quite sustain a hedge, then you might have to look at other ways to green-up your fence. Probably the easiest way is with a fine. Just like trellises, fences can sustain vines pretty well. At the end of the day, vines are not dissimilar to weeds, insofar as they grow quickly, aggressively, and without much maintenance. If you can get a vine sprouting even nearby to your fence, chances are it’ll find its way there before long. So why not use that to your advantage? After all, landscaping is the nicest, cheapest, and most sustainable form of privacy. Posted in Advice. Bookmark this page. To the recent installation of our gateway and fence I am writing to thank you very much for your assistance in making sure this difficult project looked so simple and effective when complete. It is worth noting that with a street gradient of 28 degrees, solving my specific need for a gate that did not look out of place compared to the fence was difficult, especially seeing as though I wanted the design of the fence to follow the concept of the railing on the house. The service was great particularly as all measurements were double checked for accuracy, the colour matched the sample and you greatly assisted in problem solving.